Talk about the '01 Frankfurt show here! 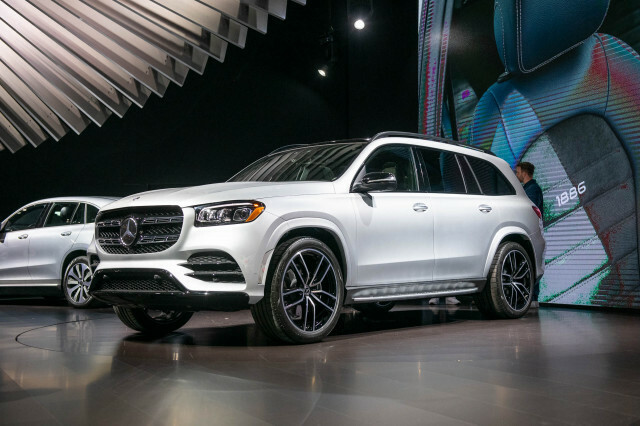 When the doors opened for the media days at the biannual Frankfurt Auto Show (IAA), optimism was in evidence if not buoyant. Despite the potential of a global recession, a majority of manufacturers were positive about the future. On the product side, an unprecedented unveiling of 57 new vehicles promised an exciting show. 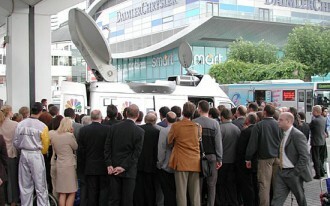 By the end of the first media day, the mood throughout the massive exhibition site had changed to one of sadness. It was around 3.00 p.m. when word started to get around that a mammoth terrorist attack had just occurred in the U.S. At first some thought it was a joke – but then as the horror and magnitude of the incident became apparent, the hearts and thoughts of everyone was far removed from the excitement of the unveiling of new cars. It was during the worldwide premiere launch of the new Hyundai Coupe that the presenter was made aware of what was happening. He immediately informed the gathered crowds and politely stopped the presentation and just pulled the cover off the car. The second media day was very somber with long faces on everyone – whatever their nationality. The world was in mourning and nobody was in the mood to celebrate the glitter of an auto show. 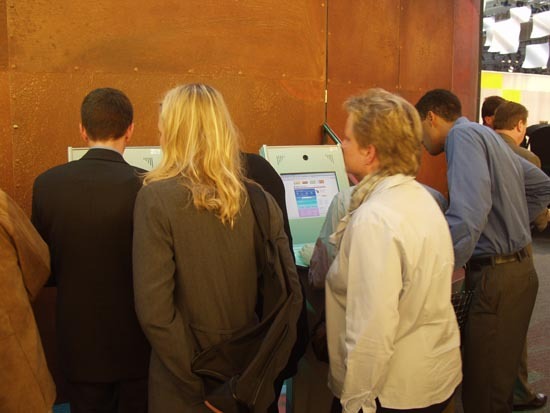 Nonetheless it was decided that the show must go on – although many suggested the organizers should cancel the show, the general sentiment was that would be just what the terrorists would want. Life does go on, for the fortunate. 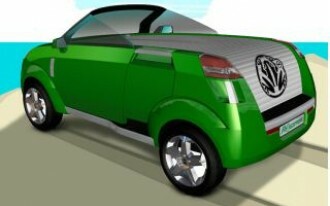 Judged by the number seen on the roads, the Micro Compact Car (MCC) Smart car is a hit with European drivers. 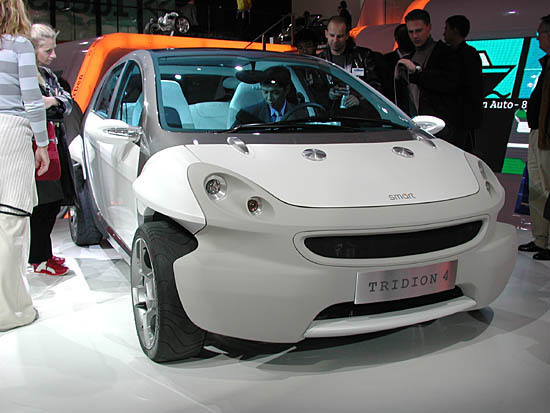 MCC showed off an interesting concept Tridion that takes the Smart idea up into the more normal size. 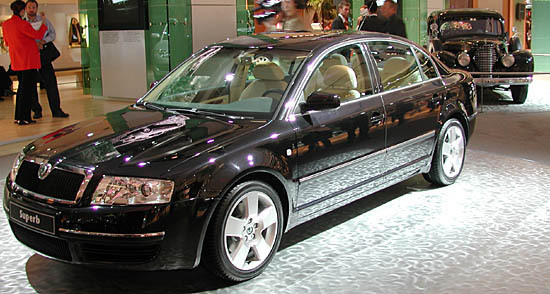 The five-door four-seater uses matte-finished body panels and is built around a strong safety cell. In just its second international auto show as an independent company, the mood at MG Rover was upbeat: “There was disbelief back in January when we said we’d have a complete range of MG cars,” said Kevin Howe, MG Rover’s boss, as he unveiled the MG X80. It’s doubtful Howe even dreamed he’d be unveiling a 385-horsepower, Ford Mustang-powered high-end sports car that will be built in Modena, Italy, the home of so many exotic car companies. 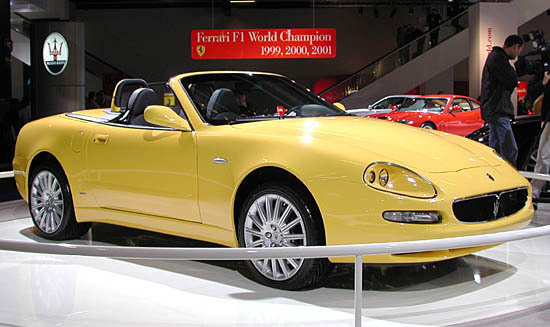 It’s the hurriedly restyled car based on the Qvale sports car that was inherited when MG Rover acquired the U.S.-based Qvale company in June. The final production car will go on sale in summer of 2002 and will be the flagship in the MG line competing against the Porsche 911 and Jaguar XK8, according to the company. Two years ago Dr. Carlos Ghosn unveiled the famous turnaround plan for Nissan, the sickly Japanese company saved by Renault. At that time he said it would take three years to achieve the goals of profitability and growth. In an obviously buoyant mood he described how the comeback was running ahead of schedule thanks to the introduction of great new products. Certainly the all-new U.K.-designed and U.K.-built Nissan Primera was well received at the show, just as the similar sized U.S.-built Altima has also been well received stateside. 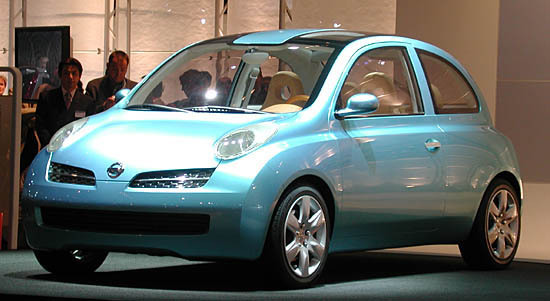 Ghosn also unveiled the pretty mm.e concept car that will become the new Micra in 2003. 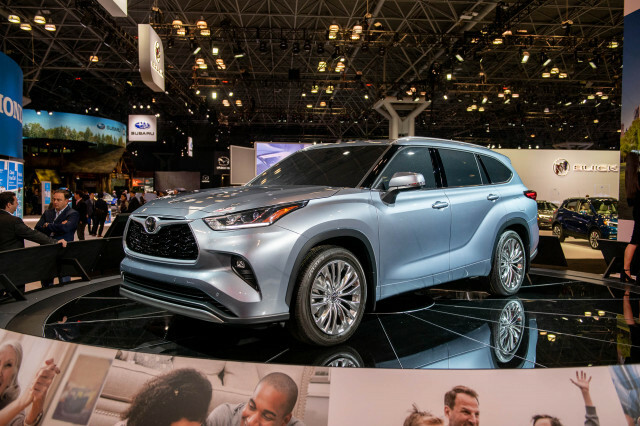 In Europe Toyota is not the clear leader among the Japanese makes as it is in Japan and the U.S. Judging by the size of its booth and the successful launch of the European-designed Yaris last year, Toyota has figured out what it needs to do – build cars designed for Europeans. 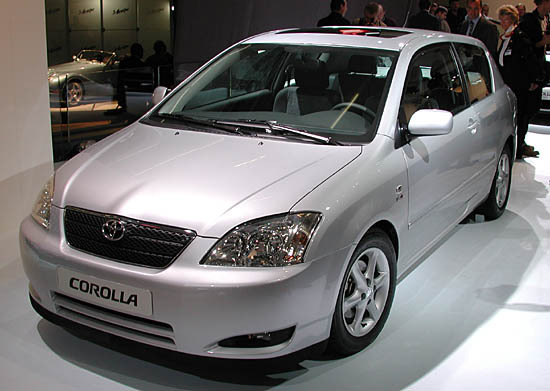 That’s why the all-new Corolla looks quite different from what will be purchased by U.S. buyers next year. It might look conservative compared to many Italian cars of today but there’s no doubt that the Maserati Spyder is a very pretty convertible sports car. The even better news is that Americans will be able to buy this car before too long, as it is the model that will see Maserati return to the States after a decade’s absence. It might just start a trend for other European nameplates, such as Peugeot, Lancia, Fiat, Renault, to return to the U.S. The Hyundai Tiburon, Known elsewhere in the world as the Coupe, has been selling much better in Europe than in the U.S. Hyundai aims to correct that with the new Coupe that will be available with an optional V-6 engine. 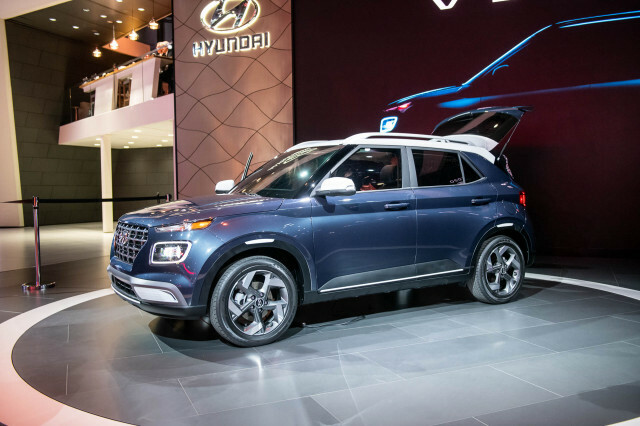 The pretty coupe is the result of a new direction in Hyundai design, according to an official, whereby vehicles will be designed slightly differently for different markets in order to meet customer desires, which can vary so much from one area of the world to the next. 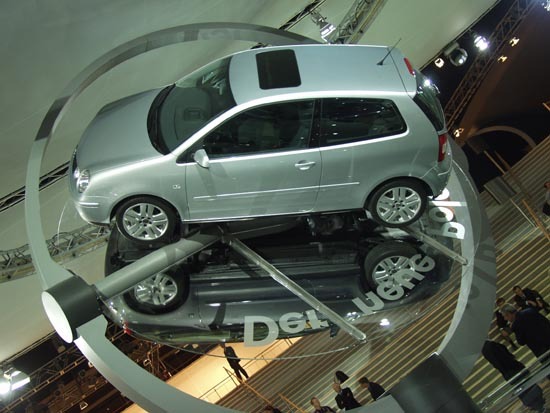 There was no doubt who was feeling like top dog at this year’s Frankfurt show – Dr. Piech, the powerful head of VW who will retire next year and hand over the reigns of Europe’s largest car company (and fourth-largest in the world) to Dr. Pischetsrieder. 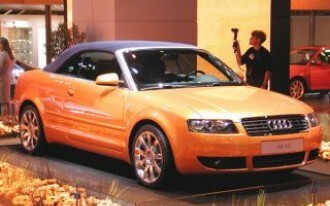 Just days after the announcement that Pischetsrieder would be taking over next year, Dr. Piech addressed the media and offered his congratulations to Pischetsrieder, saying he is customer focused and “a car freak.” Piech’s legacy will include the many new cars the group launched at the show – the VW Polo, Lamborghini Murcielago, Audi Cabriolet, Audi A4 Avant, Seat Tango and yet another version of the Bugatti. There was really no exciting concept cars unveiled this year compared to many shows in previous years. 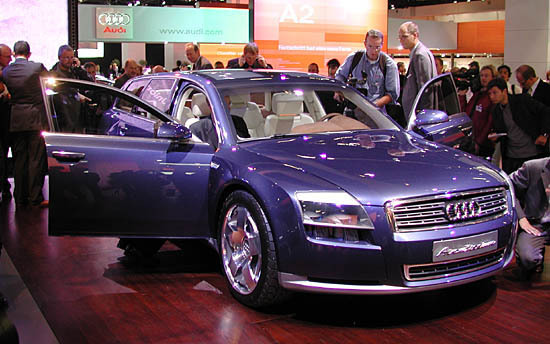 Judging by the crowds that thronged around the car at all times, the Audi Avantissimo was the biggest hit. 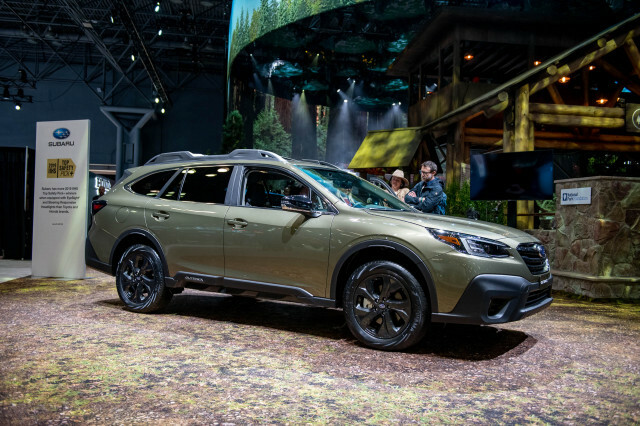 Yet it is nothing much more than a large station wagon, albeit dripping with new technology such as a driver-identification system, an all-glass roof and a multimedia interface.